See Washington D.C.'s most memorable sites with a knowledgeable and passionate local guide! This full-day tour covers a comprehensive look at the intricate history of D.C. and visits to the most iconic landmarks and monuments in the city. The tour includes a guided visit to Arlington Cemetery, Lincoln Memorial, Vietnam Memorial, Korean War Memorial, FDR Memorial, Jefferson Memorial, the World War II Memorial, Ford’s Theater, Iwo Jima Memorial, Air Force Memorial, Martin Luther King, Jr., National Memorial, and the Holocaust Memorial Museum. Beginning with downtown DC hotel pick-up, this 7 hour tour will cover a comprehensive look at the intricate history of D.C. and visits to the most iconic sights in the city. The tour includes a guided visit to Arlington Cemetery, Lincoln Memorial, Vietnam Memorial, Korean War Memorial, FDR Memorial, Jefferson Memorial, the World War II Memorial, Ford’s Theater, Iwo Jima Memorial, Airforce Memorial, Martin Luther King, Jr., National Memorial, and the Holocaust Memorial Museum. 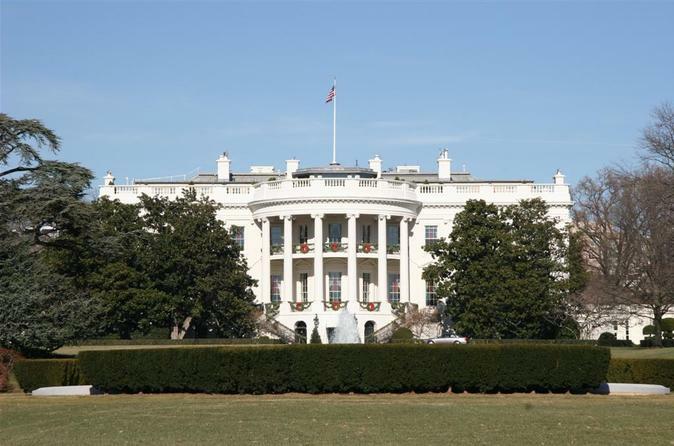 Your guide will also cover tours to the U.S. Capitol, the White House, the National Archives, Embassy Row, the National Cathedral, Georgetown, the Watergate Hotel, the Kennedy Center, FBI Headquarters, the Navy Memorial, and the Smithsonian Museums and more. Upon request, the guide can accompany you to the Capitol, National Archives and the museums. U.S. Capitol, White House, Lincoln Memorial, Vietnam Memorial, Korean War Memorial, FDR Memorial, Iwo Jima Memorial, Air Force Memorial, Martin Luther King, Jr. Memorial, and the National Cathedral. * More sites can be added per request. Note: You will take a lunch break, lunch is not included in tour cost.